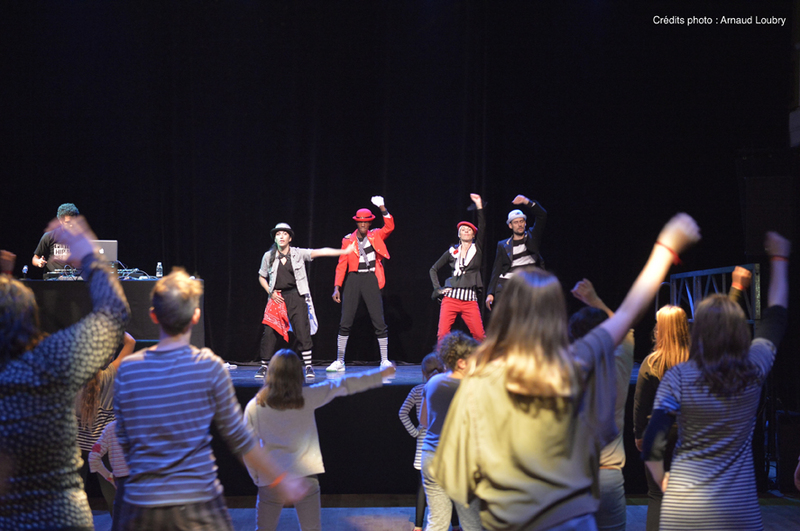 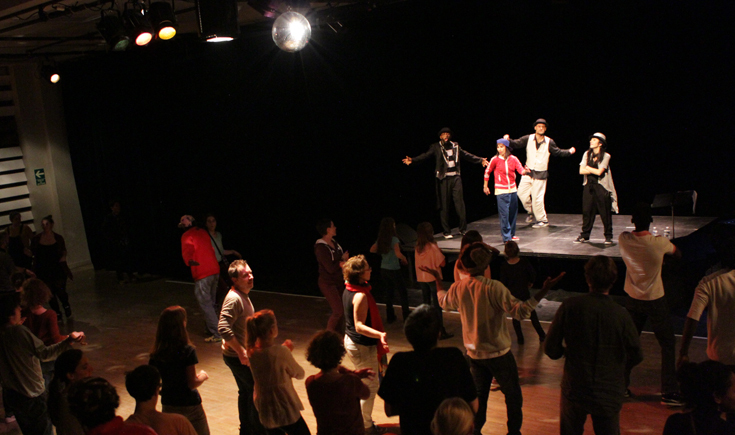 Séverine Bidaud and her dancers drive the crowd on the dance floor for a festive and collective dance accessible for everyone. 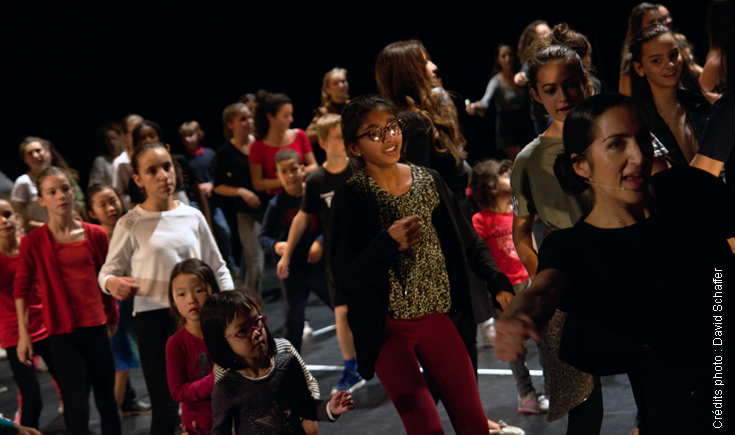 The aim is the concrete and physical participation of the audience through a playful and festive approach to dance. 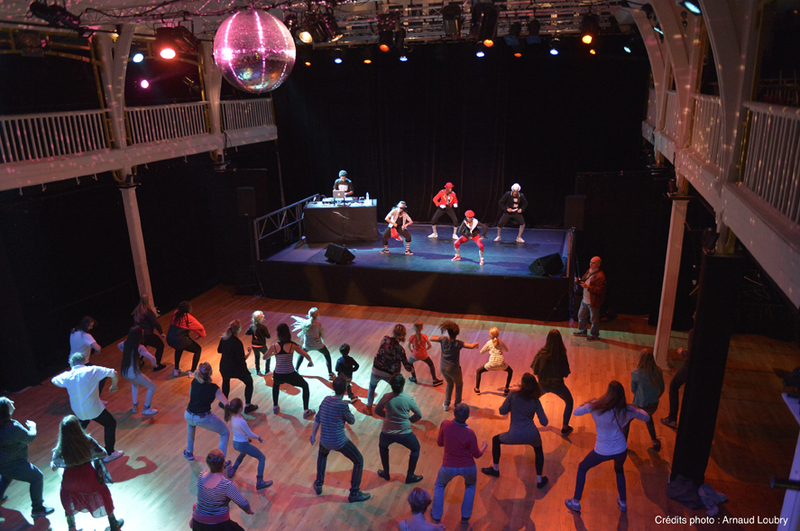 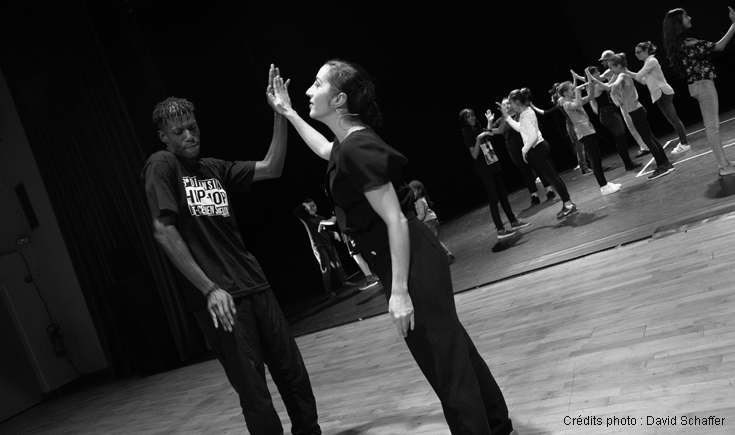 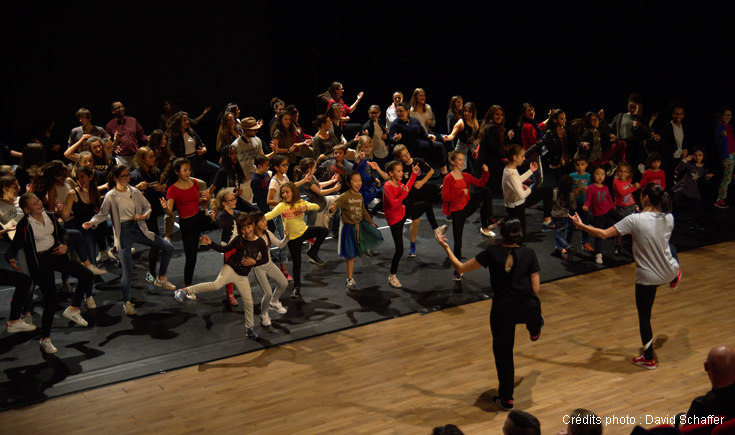 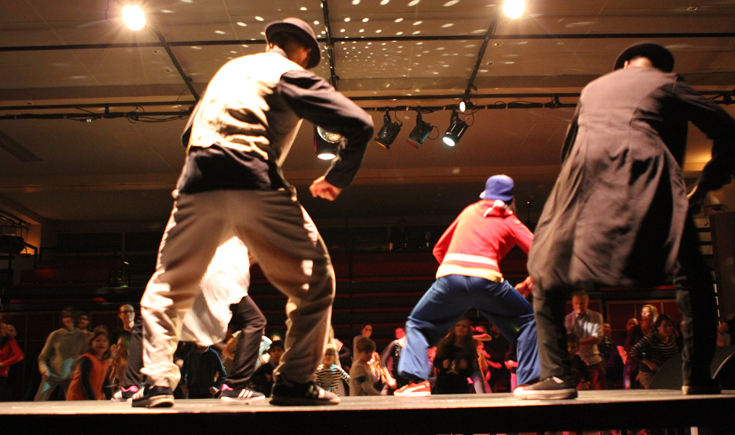 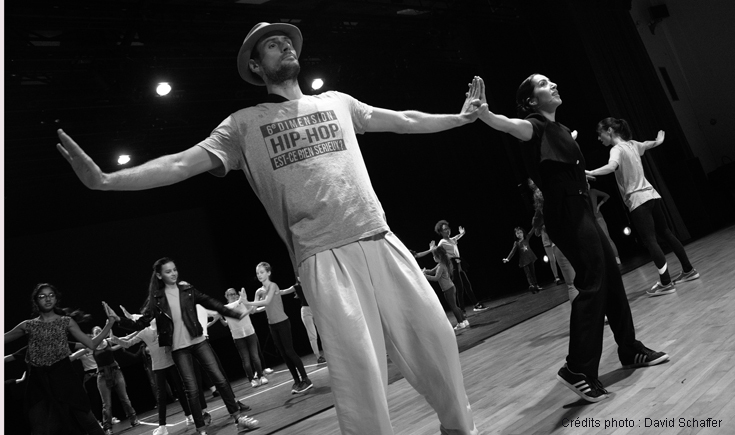 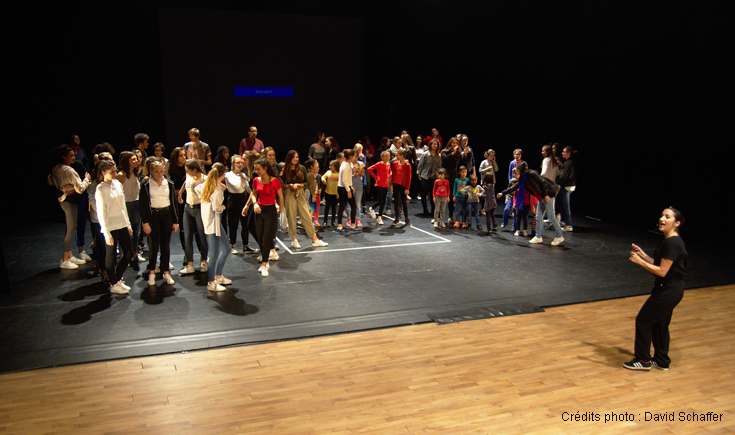 This ball was created in relation to the show “Hip-hop, is it really serious?” for a playful and happy immersion in urban dances and in the company’s universe.